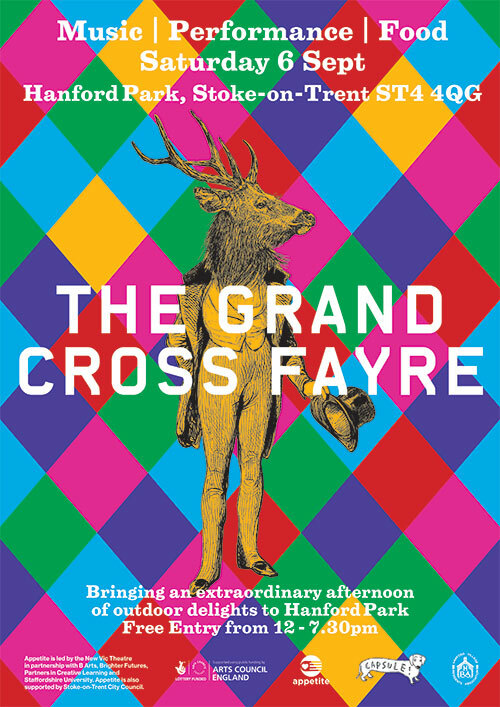 We’re really excited to announce that Paddy Steer has been confirmed to perform at The Grand Cross Fayre on Saturday 6th September in Hanford Park. 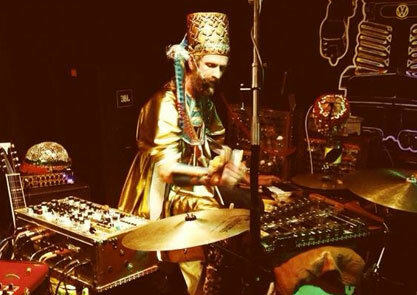 Recorded, he produces a sometime cartoon-like music dense with events, new textures and the colours of children’s paintings, sounds like a Swiss cuckoo clock made of egg boxes and horsehair, glued together by an African Moog player in a Vietnamese iron monger’s shop. PADDY STEER | Live at The Kazimier Jazz Club from Jack Whiteley on Vimeo. In rejection of the notion of ‘immaculate reproduction’, live performances are more daringly and admirably on the frontier of chaotic abstraction, expression and focussed blunder, dice rolling down the hill in case of duende, as from behind his stacked array of instruments, the anarchically intrepid punk gargles through a vocoder with his xylophone, all a-clatter under disco lights and doilies. Paddy joins a line up that includes psychedelic sounds from Californian 4 piece White Manna, stunning 12 string acoustic maestro James Blackshaw and the delightful hypnotic rhythms of duo Rattle. With a selection of workshops led by artist collective Juneau Projects and the dynamic, costumed Swoomptheeng. An array of Street food, vintage stalls and more to entertain!